It’s been a great trip to visit friends but you are happy to finally be home, only to be greeted by water rushing down the driveway! Water heaters seem to pick the worst possible time to give way. We all know that a water heater won’t last forever, and yet, Fox’s journeyman plumbers are rescuing homeowners from these floods daily. Whether you wait until the emergency strikes or are ready for replacement now, here are our top five things to ask before you get a new water heater. 1. What Water Heater Do I Have? The first step in planning for a new water heater is to learn a little about the one you have today. Start with the stickers on it that say when it was installed. You want to know three things about your water heater: type, age, and size. What Type of water heater do I have? 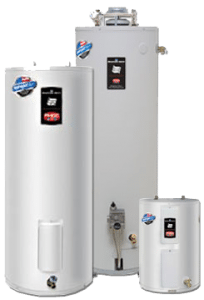 The three most common water heaters in the Seattle market are: natural gas tank water heater, electric tank water heater and tankless water heater. There are some homes with specialty water heaters such as boilers, or heat pump water heaters. Today we are focusing on the majority, who have gas or electric tank water heaters. Not sure what you have? If there is a vent pipe that goes up from the water heater and exits the house, either above or on an angle that is an indicator that you have a gas water heater, as the combustion of natural gas requires ventilation. How Old is it? Standard tank water heaters typically last 8-10 years. As the tank ages, there is a buildup of minerals and sediment inside. While manufacturers recommend annual draining and clearing of this sediment, many homeowners don’t get around to it. This sediment reduces the available water in the tank, and erodes the component parts. Eventually the tank will rust and, well, you know the rest. There may be warning signs before a leak happens. If you are seeing changes in your water color, noise or temperature, call one of our expert plumbing professionals to diagnose the issue. What Size it is? Standard tank water heaters come in a variety of sizes from the common 40 and 50 gallon up to 75 and higher. Your tank will be marked with the size. 40 gallon tanks are best for homes where there is either a space constraint issue or fewer than 4 residents. 2. Am I Happy With My Hot Water? 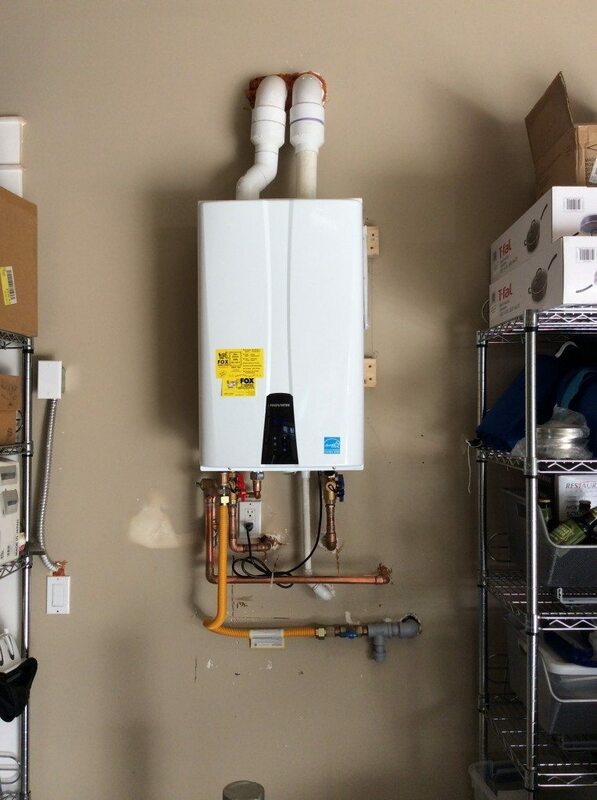 A recent Seattle customer told us she assumed she’d have to replace her 40 gallon natural gas water heater with an identical tank. But, she admitted, the hot showers were too short and she couldn’t fill her tub all the way with hot water. Was there a better option? After speaking with our professional plumber, she decided that a tankless water heater would meet her needs. Just because you have a certain size of tank, doesn’t mean you necessarily have to replace it with the same thing. There are limitations, and our licensed plumbers can provide options that will work in your home. 3. Are There Energy Efficient Tank Water Heaters? Water heating accounts for about 15% of the average home’s energy bill. In April of 2015, the US Government mandated new energy efficiency standards for all tanks produced for sale in the United States. These tanks have been rolling out as the old inventories sold through. The new tanks are more insulated, providing greater energy efficiency. Electric tank water heaters have a naturally high efficiency rating because there is no combustion of fossil fuel. While the tank uses electricity 24 hours a day, a full 95% of the electricity used goes to heat the water. Natural gas tank water heaters are typically between 60-70% efficient. Tankless water heaters range from 84 to 94% efficient, and are the greenest natural gas option because they heat water on demand instead of all day. 4. When Am I Likely To Face A Water Heater Emergency? If you have a tank water heater than has not been maintained, or is over 10 years old, you may want to consider replacing it before it creates an emergency situation. The most likely time of year for a tank to fail is in winter, other words right now. When it’s cold outside, the water coming into the tank is colder, as are garage walls or exterior walls of the basement. The contrast between this cold and the hot water temperature causes expansion and contraction. In a rusty old water heater, this can push it over the edge to leaking or failing. 5. Who Should Install My New Water Heater Tank? It may sound easy but proper installation of gas water heaters requires understanding of natural gas piping, connections, clearance area, correct materials to use and procedures to start it up. Venting and venting materials are important to properly install, or carbon monoxide can enter the home. Installing an electric water heater requires that you know your wiring material and electrical capacity. Hiring a professional, such as a Fox plumbing professional, ensures a safe installation. The best way to avoid a water heater emergency is to plan a timely replacement. Fox Plumbing & Heating installs traditional tank and tankless water heaters in Seattle and King County. To learn more about your water heater options, contact us.